A new era begins for Earth's Mightiest Heroes begins with a new Avengers lineup under the guidance of writers Gerry Conway and Jim Shooter! Teamed with a who's who of top 1970s art talent - George Perez, Jim Starlin and John Byrne - these master storytellers pit the Avengers against the greatest threats in the Marvel Universe. From Dr. Doom to Ultron, from Attuma to the Sub-Mariner, the Avengers are put to the test in issue after action-packed issue! 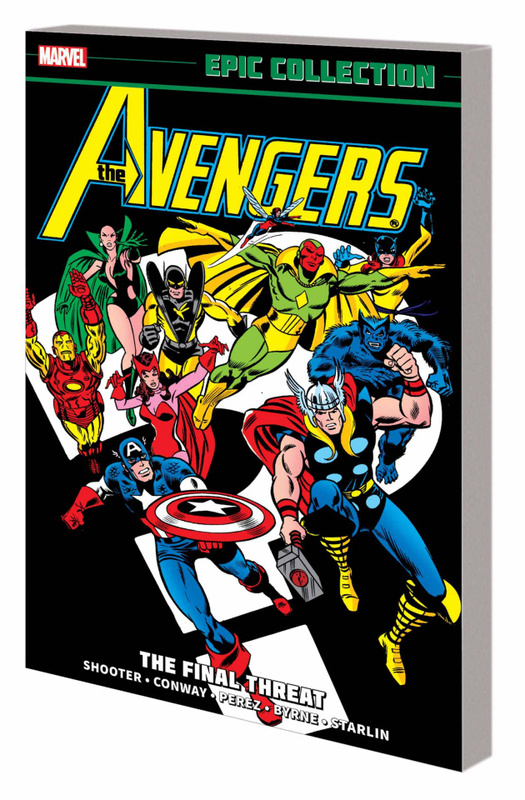 Ant-Man amok, the return of Wonder Man and the Avengers' all-time classic battle with Thanos highlight this epic collection! Collecting AVENGERS (1963) #150-166 and ANNUAL #6-7, SUPER-VILLAIN TEAM-UP #9, and MARVEL TWO-IN-ONE ANNUAL #2.